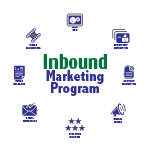 The BeDominant option of the Inbound Marketing Program includes everything found in the BeFound option plus additional strategic marketing tactics designed to increase your business preferred visibility in top search engines. BeDominant is our mid level option of the Inbound Marketing Program and is designed for local businesses in a medium size city with low to medium competion. To view our entry level and top level offerings, please review the BeFound and BeSuperior options. MarketBlazer Email Marketing service includes sending a branded newsletter to your customers and prospects every Monday. Six links to unique, interesting, and fun articles and videos, designed to appeal to your customer demographics, are included in the weekly email. Custom links are available in each weekly email to add business announcements, industry articles, or blog posts. Each weekly email is branded with your logo, photo, contact information, and social media links. Detailed analytics are included providing the number of emails sent, opened, and links clicked. 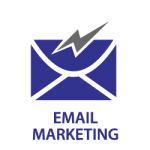 Read more information on the importance of Email Marketing. MarketBlazer Press Release service includes both the writing and submission of a business related newsworthy article. Our standard submission service includes Google News plus various media outlets including national and local television, radio, newspaper, and magazine sites. For an additional fee, our premium submission service adds Yahoo Finance news outlets. A custom online media room is created which includes your logo, business description, contact information, and all submitted press releases. 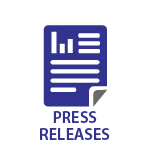 Read more on the importance of Press Releases.